$13.95 In stock. Order in the next 14 hours, 8 minutes and it will go out today! 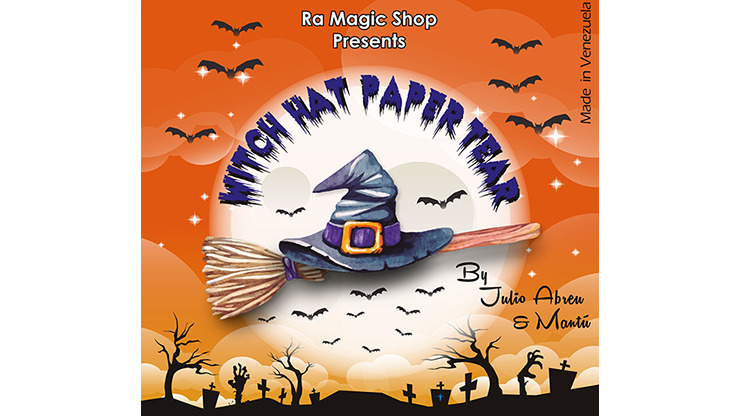 Perfect for your Halloween or mother-in-law needs, it's the Witch Hat Paper Tear. Two pieces of paper are torn apart, but when magically restored, they form a black and orange witch's hat! This is quite startling for the spectator and a great give-away item!